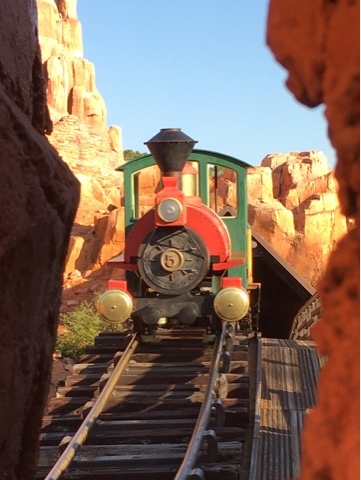 I have said many times that Big Thunder Mountain is one of my favorite places for photography. There are many amazing views all around the attraction, but my favorite is probably this angle. Taking this shot through the rocks gives the impression that I'm almost standing on the tracks.